Marion grew up in New York City, and when she was about 8, she went to a summer camp in Vermont. It was there that her life-altering moment occurred when she picked a fresh green bean from the plant and bit right into it. Now, anyone who has ever eaten a fresh, raw green bean knows what happened next. In fact, I’d just done this a few days ago, eating one of the last crisp green beans of the summer (a climbing rattlesnake bean) right from the vine, and the late season tinge of end-of-summer made it all the more sweet. A fresh green bean is sweet, crisp, and packed with flavor and crunch, with a clean and fragrant aftertaste. Well, when Marion experienced one, it changed her view of food forever. Fresh green beans are nothing like canned, which was all she had known up until that moment. 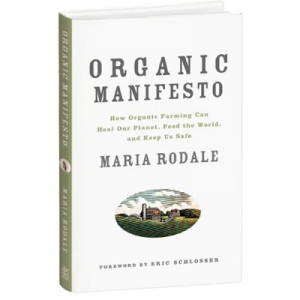 That one vegetable awakening led her to become one of the world’s greatest writers and teachers on food issues. 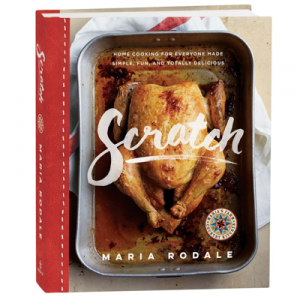 What struck me most about Marion’s story was that just the week before, Alice Waters told me the exact same story about the children she works with at The Edible Schoolyard in Berkeley. Alice spoke about how city kids first enter a garden with trepidation and fear, but after tasting fresh produce like green beans or tomatoes, they suddenly fall in love with nature—and food—and before you know it, they’re lying in the grass with soil on their hands, happy and healthy. Both Marion and Alice are asking, or perhaps demanding, for all schools to serve children good, clean, free food at lunch, preferably food that comes from a garden they grow themselves as part of their curriculum. I think that’s a great idea and we should all work toward that. But in the meantime, if you have kids, you need to have a garden—even if it’s in a pot. This past summer, even though we have a big garden, my little one planted carrot seeds amidst some dahlias in a pot by her swing set. She checked on them constantly, and even though they were Dan Barber-big baby carrots when she pulled them, we relished them. 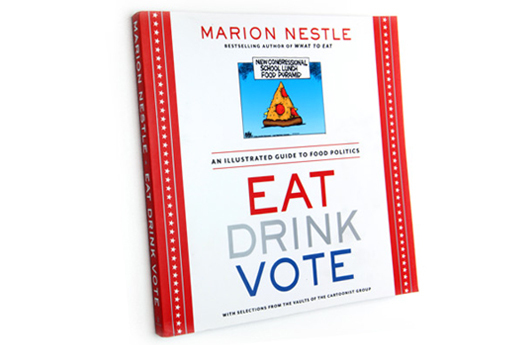 Please check out Eat Drink Vote—it’s a fun and informative book filled with cartoons on food and the politics of food. And never forget the power that one small green bean has to change the world! I remember when I was a teacher’s assistant in NY in the late ’80’s. Several women and I started a school garden of not just flowers, but also veggies. The children in this school were from homes that were not of the “ordinary”. Mostly abused and poor, these children, like most children, thought that the food they ate came only from the grocery store. They were so surprised when the garden we started with them produced the produce that they saw in the stores. To their amazement, the veggies tasted fresh and sweet, crisp and tender, and they took some to their house parents for their dinner that night. The look on their faces were priceless. So involved were they in the planning and maintenance of the garden, that they became very protective of the space. They found a love of gardening and respect for the ground on which they stood and grew their food. At the end of every growing season, they would ask to have another garden the following year. Everyone agreed. The principal was thrilled that the initial program was a great success. To this day, the program is thriving (so I’m told) and teaching a new wave of students how to care for the earth and their little piece of ground. Thanks to those women volunteers from Mt. Kisco who helped to make the gardening program a success!